Joseph S. Francisco is the President's Distinguished Professor of Earth and Environmental Science, and Professor of Chemistry at the University of Pennsylvania, and the William E. Moore Distinguished Professor Emeritus of Earth and Atmospheric Sciences and Chemistry at Purdue University. Dr. Francisco completed his undergraduate studies in chemistry with honors at the University of Texas at Austin, and he received his Ph.D. in chemical physics at the Massachusetts Institute of Technology in 1983. After spending 1983-1985 as a Research Fellow at Cambridge University in England, he returned to MIT as a Provost Postdoctoral Fellow. Dr. Francisco has received a National Science Foundation Presidential Young Investigator Award, an Alfred P. Sloan Fellowship, and a Camille and Henry Dreyfus Foundation Teacher-Scholar Award. In 1993, he was a recipient of a John Simon Guggenheim Fellowship, which he spent at the Jet Propulsion Laboratory at the California Institute of Technology. In 1995, he received the Percy L. Julian Award for Pure and Applied Research, the highest research award of the National Organization for the Professional Advancement of Black Chemists and Chemical Engineers. He was selected to be a Sigma Xi National Lecturer from 1995 to 1997. In 2007, Purdue University presented Dr. Francisco the McCoy Award—the highest research award given to a faculty member for significant research contributions. He is a Fellow of the American Physical Society and of the American Association for the Advancement of Science, and in 2010 he was elected to the American Academy of Arts and Sciences. The German government selected Dr. Francisco for an Alexander von Humboldt U.S. Senior Scientist Award, and the University of Bologna, Italy, appointed him a Senior Visiting Fellow at the Institute of Advanced Studies. He is professeur invité at the Université Paris-Est, France; a visiting professor at Uppsala Universitet, Sweden; and an honorary life member of the Israel Chemical Society. He has been a member of the Naval Research Advisory Committee for the Department of the Navy (appointed by the Secretary of the Navy, 1994-1996). Dr. Francisco was appointed atmospheric and ocean science editor for Pure and Applied Geophysics from 1998-2001. He has also served as a member of the Editorial Advisory Boards of Spectrochimica Acta Part A, Journal of Molecular Structure: Theochem, and The Journal of Physical Chemistry. He is a co-author of the textbook Chemical Kinetics and Dynamics, published by Prentice-Hall and translated in Japanese. He has also published over 400 peer-reviewed publications in the fields of atmospheric chemistry, chemical kinetics, quantum chemistry, laser photochemistry, and spectroscopy. 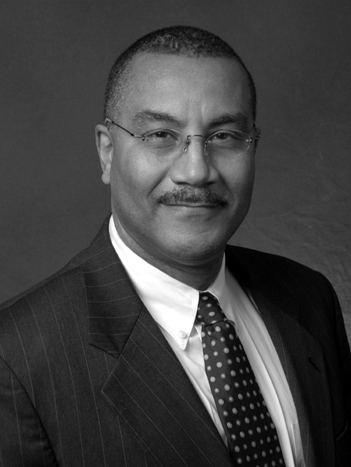 Dr. Francisco was president of the National Organization for the Professional Advancement of Black Chemists and Chemical Engineers from 2005-2007, and served on its Board of Directors from 2003-2007. He currently serves on the Board of Directors for the Council for Chemical Research, on the Executive Board of the Council of Scientific Society Presidents, and on the Board of Directors for the American Chemical Society from 2009-2011. He was elected president of the American Chemical Society for 2010. President Barack Obama appointed Dr. Francisco a member of the President’s Committee on the National Medal of Science for the term 2010-2012. Tuskegee University awarded him an honorary degree of Doctor of Science, honoris causa, in 2010.